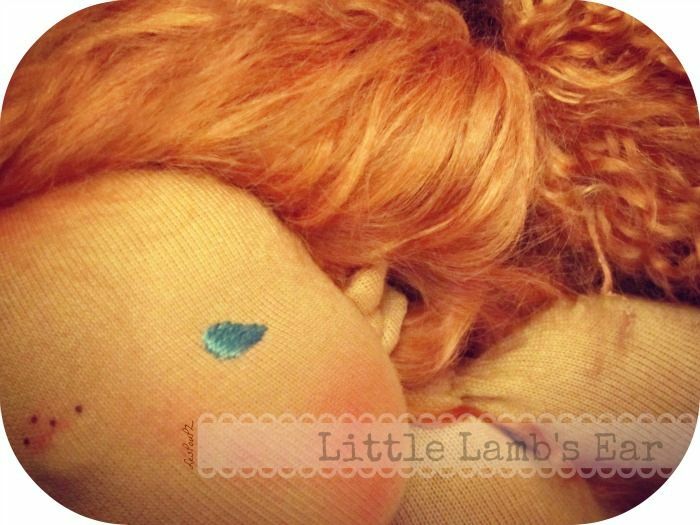 After a long, long, very long week's flu, I'm slowly coming back to my dollstudio. I'm feeling tired and exhausted, but as I turned on my laptop, and started viewing pics of lovely dolls, my heart cheered up, and strength is living back into me. It's high time I show you Babeth's little ears, as I had promised last week already -time went too fast! This little girl has been so patient, waiting for her clothes to be finished. She wears a springful coloured outfit, with large linen mustard overalls, a vichy-blue blouse, a sea-blue cardi -soooo soft, a crochet pink beret with assorted boots. Her body is a waldorf traditional shape; her body, legs and feet are one piece. She is 12". 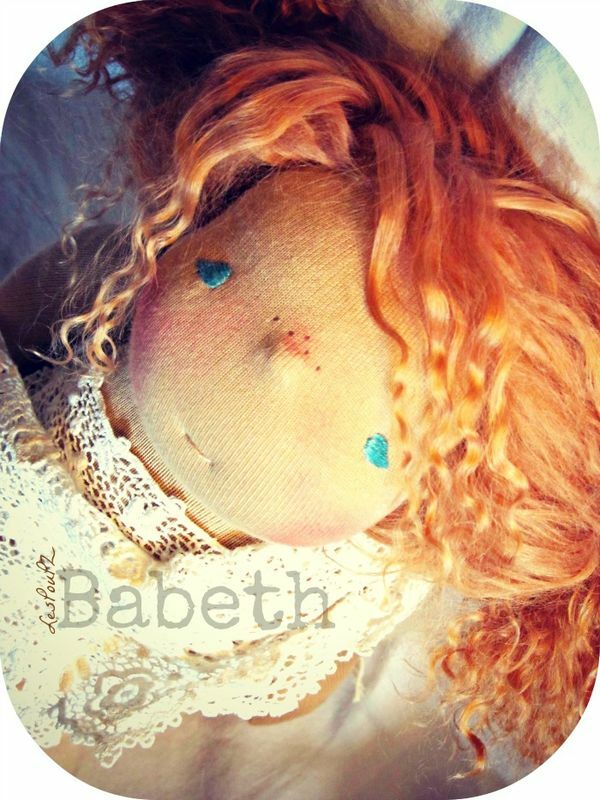 Babeth will be available in my etsy shop tonight at 6pm (French time zone). Pour moi votre travail s apparent à du grand art! Quels goûts exquis pour la tenue : le style, les couleurs, les matières ... Tout est raffiné. Merci beaucoup, c'est vraiment très gentil!